Doobie, the youngest, shared my excitement when he saw the box. 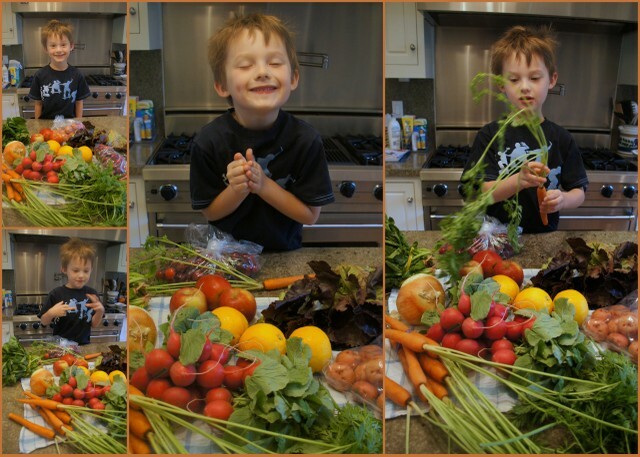 He wanted to start eating right away and didn’t know where to start. 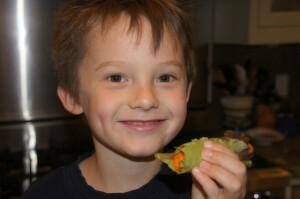 He finally decided on a carrot and lettuce wrap (for breakfast!) and some cherries, with more cherries in his lunch for school. 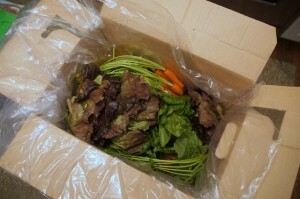 What I like about this produce delivery service is that I can set up delivery as often as I want it. We’re starting with every two weeks. I don’t want to overwhelm myself with too much fresh produce at once and the pressure of having to consume it all before it goes bad. They let customers exclude certain produce so I have added some exclusions to our list (items I know I don’t like or have absolutely no idea what to do with) until I become more familiar and comfortable with all of this. As of right now, I’m very excited for the next box to arrive in two weeks. Hopefully, the oldest son and husband will become more welcoming of the box as well as time passes. 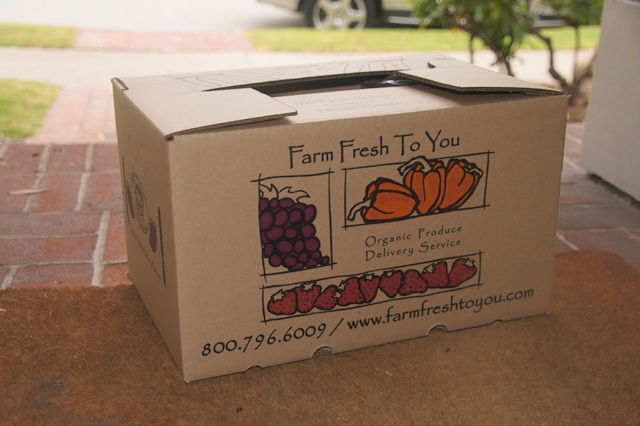 Does your family subscribe to a fresh produce delivery service? 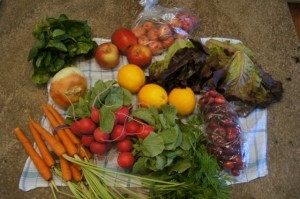 This entry was posted in Los Angeles & Environs and tagged food by Patricia Zanuck. Bookmark the permalink.